A side-street restaurant in Chippendale with a back-to-basics approach has taken out the prize for best new restaurant at the launch of The Sydney Morning Herald Good Food Guide 2015 on Monday night. Ester on Meagher Street was awarded for “the most exciting addition to our dining landscape over the past 12 months”. It also scored two hats in its guide debut. Chef Mat Lindsay won praise for his contemporary menu, smoky flavours and innovative use of the venue's wood-fired oven, set in a former loading dock and garage. The editor of the guide, Joanna Savill, says Ester reflects the rise of Sydney's young guard and the trend towards casual dining. Yet its seemingly simple approach belies a sophistication in the kitchen. “[Chefs such as Lindsay] want to get the best produce they can,” Savill says. 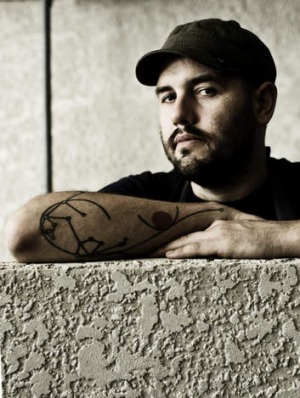 The chief reviewer of the guide, Terry Durack, says Lindsay's commitment to the “primal technique” of fire is exciting for the diner and the chef. “Mat Lindsay throws just about everything into his vast wood-fired oven – whole heads of cauliflower, unopened oysters, chickens, bone marrow - everything but pizza, which he has banned,” he says. 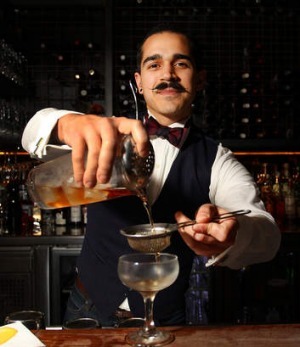 At the launch of the guide, which celebrates its 30th anniversary this year, Sussex Street's Sepia snagged the Vittoria Coffee restaurant of the year award for the third time, while Brent Savage scored Citi chef of the year for his trio of venues Yellow, Monopole and Bentley Restaurant & Bar. “Brent Savage has succeeded in creating three very different levels of dining for three distinctive audiences and made it look easy,” Durack says. The event, held at Ivy Ballroom on George Street, also recognised Finland-born chef Pasi Petanen of low-fi pop-up Cafe Paci with the innovation award “for a forward-thinking individual who has added new direction to the way we eat”. It was also awarded one hat. The Vittoria Coffee legend award went to chef Peter Doyle, who has accumulated 72 chef's hats over the course of a 30-year career. 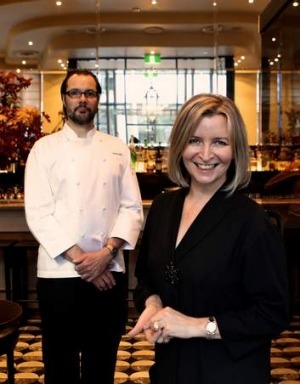 Biota Dining in Bowral took home two hats and the title of La Maison Du Thé regional restaurant of the year. In terms of hat categories, a record 53 establishments received one toque this year out of a total of more than 650 listings (about 80 of them new to the guide). New one-hatters included Castlereagh Street's Alpha, Potts Point's Cho Cho San and Vincent in Woollahra. Moon Park in Redfern and Nomad in Surry Hills also scored a toque. “Australian chefs are breaking down the formality of fine dining without sacrificing the quality of the dining experience itself,” Durack says. The 30th anniversary edition of The Sydney Morning Herald Good Food Guide. Notable promotions included Porteno, sixpenny and Berowra Waters Inn, which moved from one- to two-hat status. Bentley Restaurant & Bar snagged two toques. As expected given its award, Sepia retained its coveted three-hat status, as did Momofuku Seiobo, Quay and Rockpool. In terms of demotions, Savill says “there hasn't been a lot of pain this year”. But MoVida, Longrain and Buon Ricordo were relegated from two toques to one, as was Dublin-born Colin Fassnidge's Four in Hand Dining Room. Gowings Bar & Grill and Popolo lost their one-hat status. Durack says the biggest change he's witnessed over the 30 years of the Sydney guide has been the shift in emphasis from the restaurateur to the chef. In 1984, when the first guide was published, chefs' names weren't even listed. The Sydney scene has also become more multicultural and chefs are now more hands-on than ever. “Chefs don't just cook any more,” he says. “They grow their own herbs and vegetables, they forage for their own greens, they bake bread, churn butter, make cheese, cure smallgoods and ferment pickles and miso. The Sydney Morning Herald Good Food Guide 2015 will be available for $10 with The Sydney Morning Herald on Saturday, September 6 from participating newsagents, while stocks last. It can also be purchased in selected bookshops and online at smhshop.com.au for $24.99 from September 2.